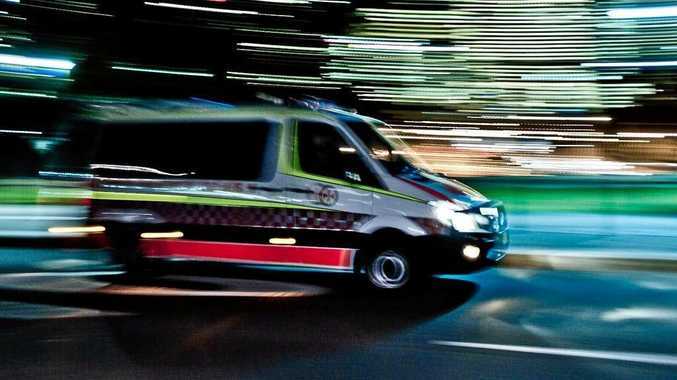 A SOLE director of a Gold Coast firm under fire for allegedly ripping off companies and staff claimed knowing nearly nothing of its financial affairs despite founding it, a court heard. 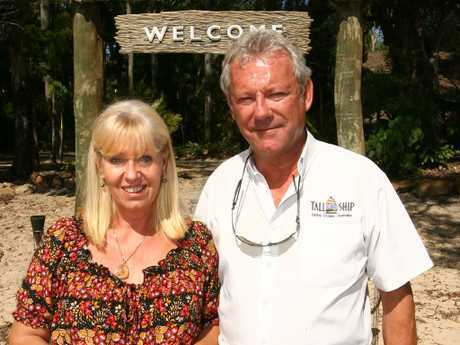 Tallship Island Adventures Pty Ltd operated island resort McLaren's Landing on South Stradbroke Island and was founded by Bruce and Margaret Nicholls in 2004. The company and general manager Jason Nicholls are the subject of numerous allegations involving cancelled Christmas parties not refunded, unpaid staff and city businesses out of pocket after providing services. Tallship Cruises general manager Jason Nicholls standing with one of his vessels. 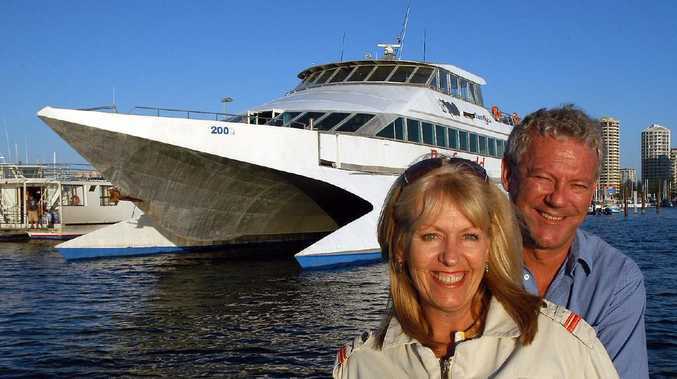 Businesses owed include MV Skylark charter Catamaran ($1650), CBRE Gold Coast ($3600), Sharman Brothers Tiling ($8000), All About Cabinets ($7000), Paradise Jet Boating (amount unknown) and Sydney-based telecommunications company United Network Services ($6579.96). Mrs Nicholls became sole director in January, 2017, when son Jason ceased being a director. In Southport Magistrates Court on Friday Mrs Nicholls gave evidence after an enforcement action brought by United Networks Services. United was owed $6579.96 the Queensland Civil and Administrative Tribunal determined late last year. Jason Nicholls, son of Margaret Nicholls. Mrs Nicholls prior to the hearing filed a statement of financial position answering "not known" to 28 questions, including: "What was the company gross income for each of the last two years?" and "Are there any moneys owing to the company?" Mrs Nicholls referred all requests to accountant James Marshall or her son, Jason Nicholls. Gold Coast Process Servers agent Terry Herlihy questioned Mrs Nicholls on behalf of United on why she could not answer questions about the company financial position. "As an enforcement debtor do you not believe you should know the answers to those questions?" Ms Herlihy asked. "Now I do, yes," Mrs Nicholls responded. "And were you aware that you did before?" Mrs Nicholls was also questioned about $85,000 transferred from a Tallships account to Lisa Hemming, the fiance of Jason. "I can't exactly know why but having spoken to Jason, she had lent money to the company," Mrs Nicholls responded. She said she had seen no contracts regarding the loan. "I didn't get involved in any of the running of the company," she said in response to further questioning about where her husband had been issued a company credit card. The case was adjourned to March 29 for Mrs Nicholls to provide bank statements for January this year. United chief finance officer Michael Potts said the company provided phone and internet services to Tallships over a two-year period that finished at the end of last year. "We could have shut their services down 12 months earlier but we wanted to support them," he said. "I knew that if we cut them off it would cruel their business." Mr Potts said he dealt solely with Jason who would pay a part of the outstanding bills but never the entire amount. 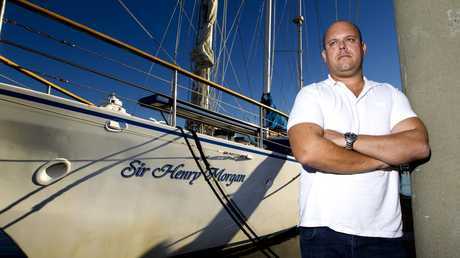 "He was always making excuses …"
Jason Nicholls told the Bulletin he had nothing to do with money owed by Tallships. "I was helping mum out for a bit there," he said. "It got just too messy, did my very best, and so that was the end of that. We paid those guys (United Network Services)." Mr Nicholls referred further questions to his parents.